EMC has one of the longest-standing and best-recognized certification programs for storage, in keeping with its lengthy presence and excellent recognition as a leading provider of storage solutions of all kinds. 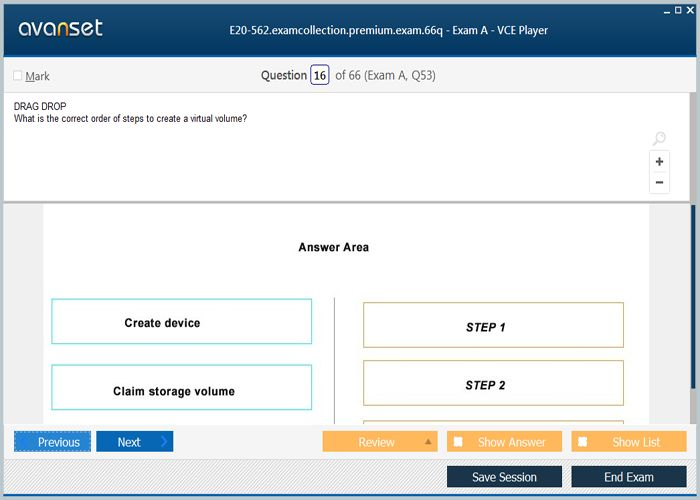 EMC VPLEX is a virtual computer data storage product. VPLEX implements a distributed "virtualization" layer within and across geographically disparate Fibre Channel storage area networks and data centers. If you are an EMC customer or partner and interested in storage, an excellent place to start the certification process is via the EMC Storage Administrator (EMCSA) certification. The Storage Administrator, VPLEX Specialist certification formally validates your knowledge, skills and expertise in the architecture, management, and operations of VPLEX storage solutions. To earn the EMCSA certification, candidate must hold a valid EMCISA and pass the Specialist exam for your desired track. Tracks include: Backup Recovery, CLARiiON Solutions, Network Attached Storage (NAS), and Symmetrix Solutions, among others. 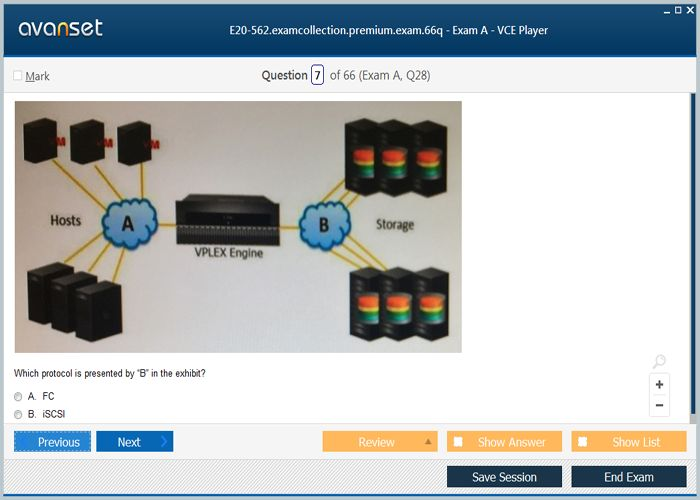 The E20-562 VPLEX Specialist Exam for the EMCSA VPLEX certification focuses on the configuration and management of storage managed by VPLEX systems. 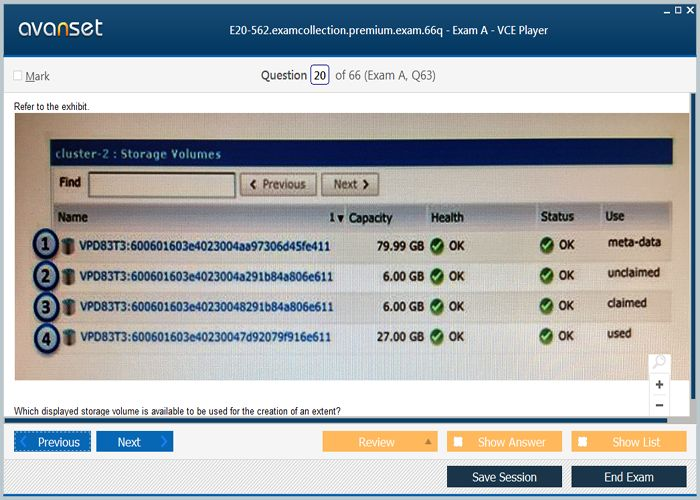 The exam encompasses provisioning storage and working with Consistency Groups and Distributed Volumes and covers VPLEX architecture, management and monitoring and maintaining the operational aspects of VPLEX systems. 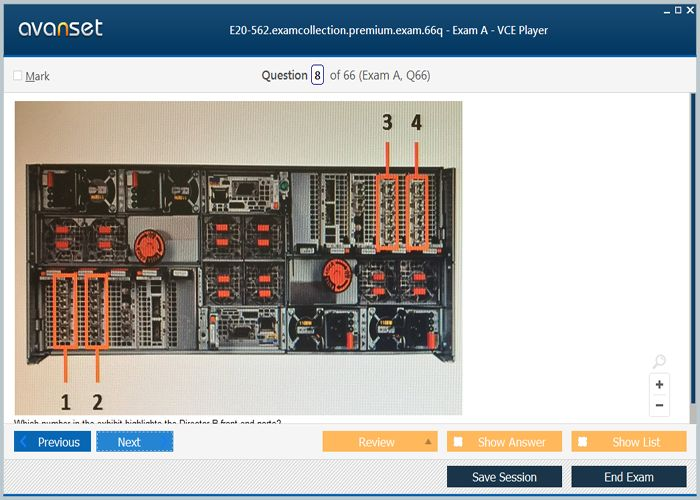 The EMC E20-562 certification exam gives acknowledgment of expertise, shows determination for the profession, and allows with career development.